The study of directed graphs has developed enormously over recent decades, yet no book covers more than a tiny fraction of the results from more than 3000 research articles on the topic. Digraphs is the first book to present a unified and comprehensive survey of the subject. In addition to covering the theoretical aspects, including detailed proofs of many important results, the authors present a number of algorithms and applications. The applications of digraphs and their generalizations include among other things recent developments in the Travelling Salesman Problem, genetics and network connectivity. More than 700 exercises and 180 figures will help readers to study the topic while open problems and conjectures will inspire further research. 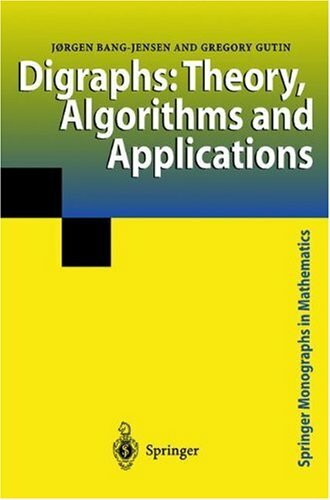 This book will be essential reading and reference for all graduate students, researchers and professionals in mathematics, operational research, computer science and other areas who are interested in graph theory and its applications. The purpose of this Graph Theory book is not only to present the latest state and development tendencies of graph theory, but to bring the reader far enough along the way to enable him to embark on the research problems of his own. In this book the authors explore generalizations of core graph theory notions by allowing real values to substitute where normally only integers would be permitted. The aim is to prove fractional analogues of the theorems of traditional graph theory.